President Elect, Gen. Muhammadu Buhari, has relocated to the Defence House in the Maitama area of Abuja metropolis where he now operates temporarily. According to TheNation, Buhari, who returned to Abuja from Kaduna on Monday to hold talks with Ivorian President Alassane Quattara at the Nnamdi Azikiwe International Airport, has been receiving guests at the Defence House since Tuesday. opposite the Legacy House which serves as the campaign headquarters of the Peoples Democratic Party. When The Nation visited the place, a horde of security operatives were seen on guard while visitors were properly screened before being allowed into the premises. It was also observed that the building was wearing a new look, a clear indication that it was recently renovated. Buhari, who was declared winner of the 2015 presidential election, was operating from his private residence in the Asokoro area of Abuja before leaving the FCT for Daura where he took part in the Governorship and House of Assembly elections. He spent an extra one week in Daura receiving guests, both local and foreign before leaving for Kaduna where he received another set of guests including former President Olusegun Obasanjo. On Tuesday, the President elect played host to the ECOWAS chairman and President of Ghana, John Mahama at the Defence House before leaving for his campaign headquarters where he received a delegation from Kogi and Kwara States. 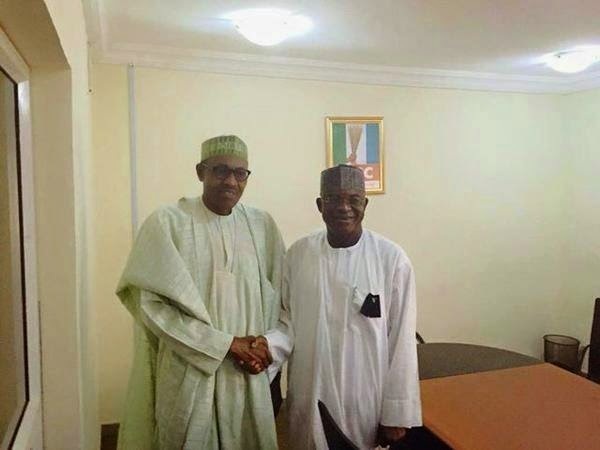 The Spokesman of the All Progressive Congress Presidential Campaign Council, Mallam Garba Shehu, told The Nation that the Defence House has been made available to the President elect for his official engagements. “Yes, the Defence House was handed over a few days ago after its renovation,” Shehu said in a text message when asked if the Defence House is now the operational base of the President elect.